My Carpino has been a bit neglected of late. I have a good excuse though - friends, family and picnics. We've been very busy and its been good. 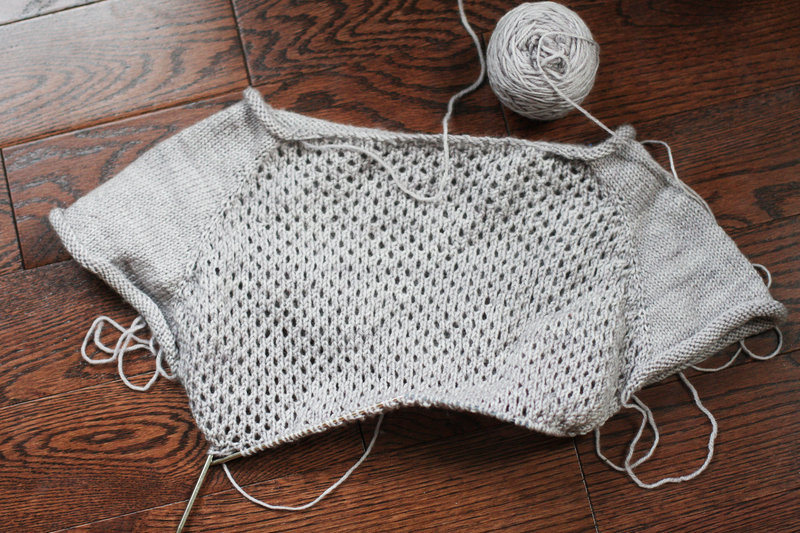 Now back to our summer sweater knit along. I absolutely love Carpino by Carole Feller. Now that the sleeves are on holders I can fly right along. I may opt out of the waist shaping, I do this often and the fit is usually the best for me. 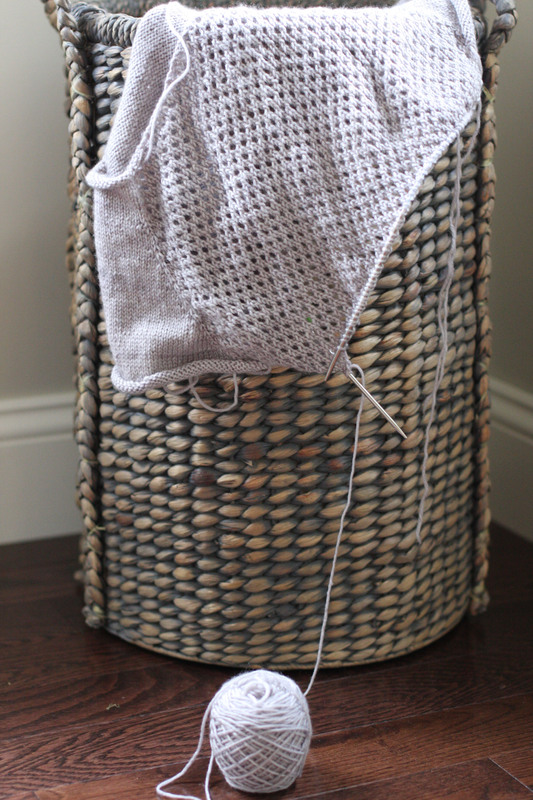 (and easier to knit ;) How are your projects coming along? Oh my gosh, that’s so cute!!! You have a summer sweater knit along? I love the pattern and color. Keep up the great work! Beautiful pattern. I love your color! That is looking lovely! I’m at the shaping under the arm of Tangelo. I wanted to be so much farther than I am but have had a full schedule as well. I love the color you chose for this sweater. Such a great neutral color. Nice, Katie. Take some time to relax for a bit! 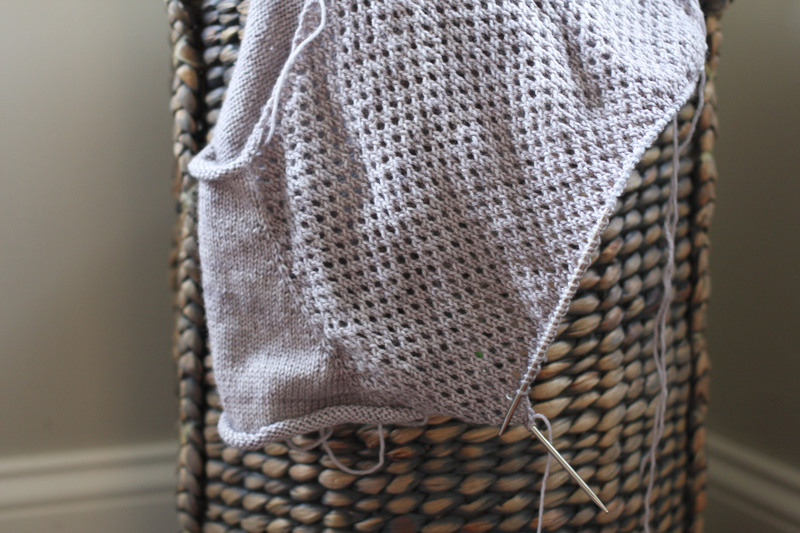 looks so gorgeous so far, and the yarn you’ve chosen looks cuddly soft. seems very promising!! Beautiful yarn also!